Lock in a great price for Jumeirah Al Qasr - Madinat Jumeirah – rated 9.3 by recent guests! Always perfect!!! Our second home Jumeirah is ❤️ thank you !!! Nice Arabic design, nice and spacious rooms. Service is great. Nice view of Burj Al-Arab. 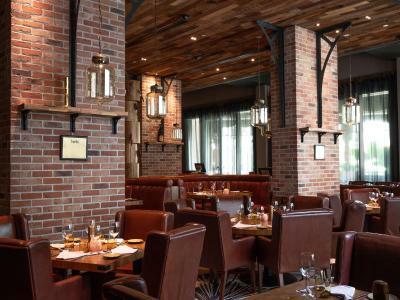 The location, supporting restaurants like pool beach..
Jumeirah Al Qasr - Madinat Jumeirah This rating is a reflection of how the property compares to the industry standard when it comes to price, facilities and services available. It's based on a self-evaluation by the property. Use this rating to help choose your stay! Located on 1.2 mi of private beach, 5-star Jumeirah Al Qasr offers extensive landscaped grounds with canal-style waterways, rooms with furnished private balconies and a seafood restaurant suspended over the Arabian Gulf. 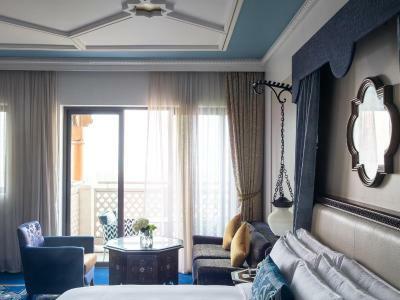 Jumeirah Al Qasr's spacious rooms overlook the Arabian Gulf or hotel grounds. 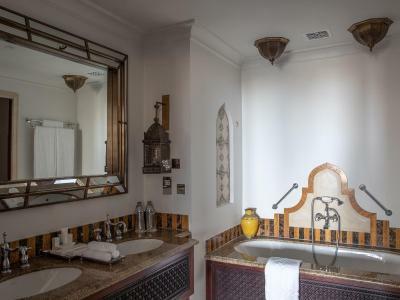 A private dressing area, walk-in rain shower and antique furnishings are standard in all rooms. Guests relaxing on Jumeirah Al Qasr’s private, sandy beach are offered free fresh fruit and cool towels. Talise Spa features overwater treatment rooms. Other on-site amenities includes a large pool complex with dedicated children’s areas and a marble lobby lounge with palm trees. Guests can watch the sunset at Koubba Bar, or enjoy an extensive Arabian-style lunch buffet. The property provides complimentary shuttle service to Wild Wadi Waterpark™, Madinat Jumeirah, Jumeirah Beach Hotel and Mall of the Emirates. 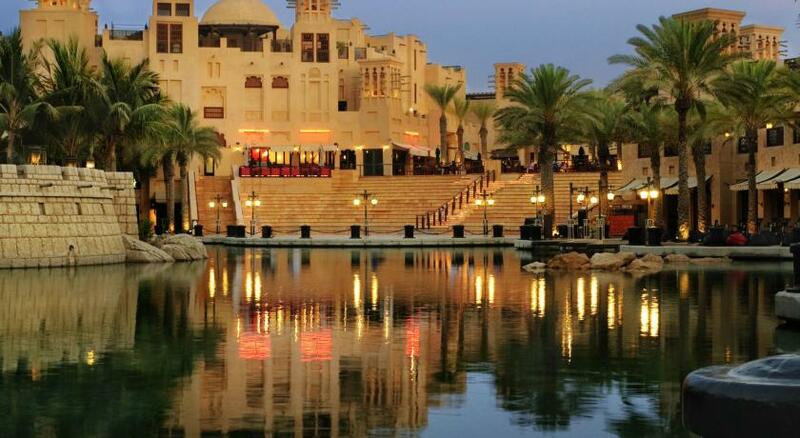 The hotel is also next to Madinat Jumeirah Souk. Dubai Internet City is a 15-minute drive from the hotel. Free parking is possible on site. 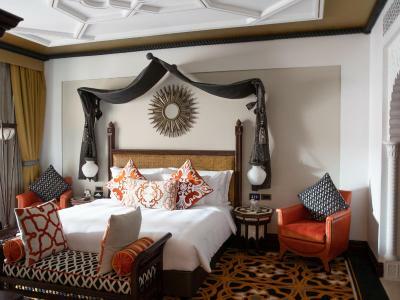 When would you like to stay at Jumeirah Al Qasr - Madinat Jumeirah? This luxurious suite offers a large balcony with views of the waterways. Includes priority check-in and complimentary airport shuttle service. This room can accommodate only 2 adults and 2 children up to 12 years old. This large suite with spacious lounge area has access to the Executive Lounge and includes a complimentary airport shuttle service. Includes in-room breakfast. This suite is suitable for a maximum of 2 adults and 2 children below the age of 12. This room features a private balcony overlooking the beach and Gulf. It includes dark wood furnishings, a walk-in shower, and a large tub. It is suitable for up to 2 adults and 2 children (under 12 years old) or up to 3 adults. 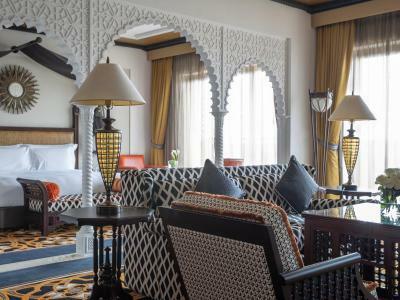 Boasting lush garden resort views, this 55 sqm room offers Arabian-style decor. 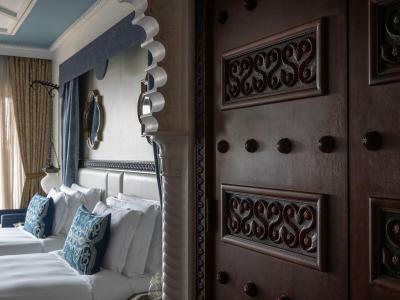 The room offers a king size bed, large wide screen TV and the bathroom is arabian-styled with a marble tub and sinks, glass-isolated walk-in shower and luxury bathroom amenities. 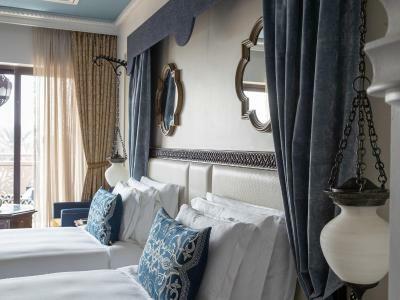 The One Bedroom Ocean suite is lavishly proportioned and furnished in the rich style of the Middle East. Perfect for families or those coveting space, it offers you a generous living area to enjoy memorable moments, alone or together. The dining area provides a homely touch and is an ideal place for sharing and entertaining. Lush resort views await from your private balcony with the marble bathroom creating an interior oasis. 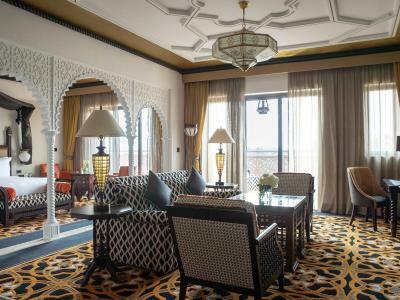 When booking this Suite, enjoy a complimentary airport transfer, complimentary breakfast as well as Club Executive Lounge and Premium Leisure Club access at Al Qasr. 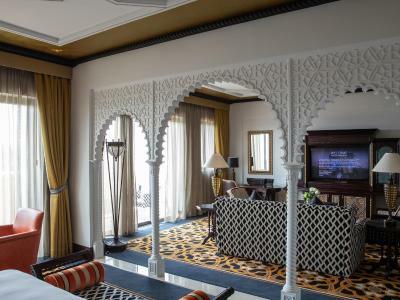 The Junior Ocean Suite offers an exquisite taste of Arabia in privileged surroundings. Exquisitely decorated in authentic style, its living area invites you to spend convivial or restful quality time. Large private balconies and a terrace extend the experience, affording you magnificent views of the Ocean and scenic resort. Unwind in the luxurious marble bathroom and select your outfit from the generously sized wardrobe. When booking this Suite, enjoy complimentary airport transfer, complimentary breakfast as well as Club Executive Lounge and Premium Leisure Club access at Al Qasr. The superior junior ocean suite is wonderfully appointed for your comfort, spacious with incredible views overlooking the resort and blue waters of the Arabian Gulf. Perfectly positioned on the top floor, enjoy delightful Arabian touches and warm interiors as you recline in complete serenity. 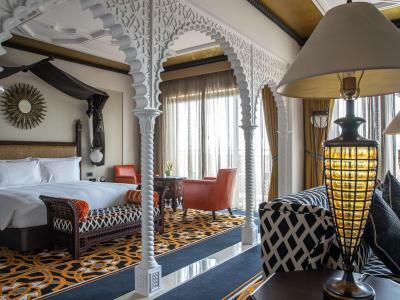 When booking this room, enjoy complimentary airport transfer, complimentary breakfast as well as Club Executive Lounge and Premium Leisure Club access at Al Qasr. 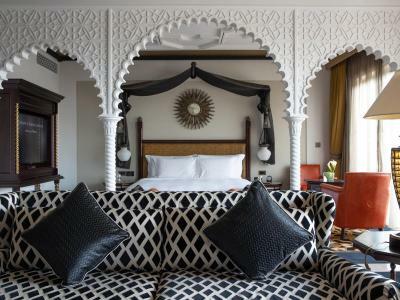 The newly refurbished Arabian Club Superior rooms combine traditional arabesque architecture with fresh contemporary features. Blue and white interiors create a serene space, enhanced by decorative patterns and golden touches woven through the locally-inspired furnishings. This double room features air conditioning, bathrobe and mini-bar. 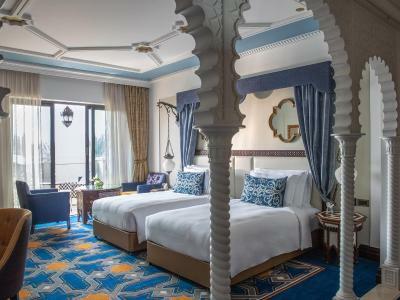 The newly refurbished Ocean Club Superior rooms create an elegant scene, combining traditional arabesque architecture with fresh contemporary features providing you additional benefits as a Club Superior guest. This double room has a electric kettle, air conditioning and tile/marble floor. 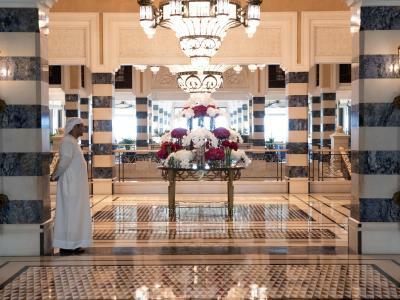 A majestic arrival experience welcomes guests to Jumeirah Al Qasr. 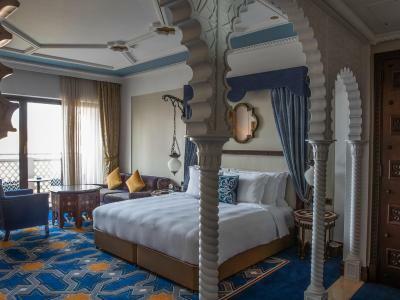 A journey through luxury offering palatial guestrooms decorated in traditional Arabian style with stunning views to the sea and the resort in opulent surroundings. As part of the magnificent Madinat Jumeirah, Jumeirah Al Qasr offers all the facilities and activities of the wider resort. 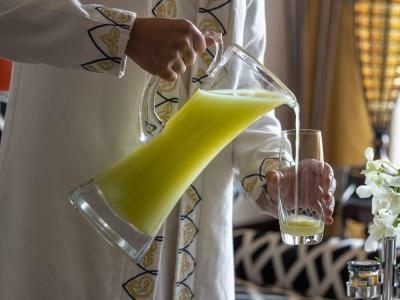 House Rules Jumeirah Al Qasr - Madinat Jumeirah takes special requests – add in the next step! Jumeirah Al Qasr - Madinat Jumeirah accepts these cards and reserves the right to temporarily hold an amount prior to arrival. For rates with breakfast the additional charges may apply for children, please check with the hotel.For Half Board rates, children will charged an extra amount of AED 150 plus applicable taxes per person per night directly at the hotel. Stays over 31 December are subject to mandatory New Year Gala Dinner which is NOT included in the room rate. The food in the pool restaurant ,, the taste is good but it needs more of a twist, and more variety of food to select from , the same menu every time we visite the hotel.. It was dirty bed linen ( with stains ) Always long time to wait food at lobby and unprofessional staff (forgot my orders 3 times , long time waiting for bill and other ) Wgeh I extended my room at reception it was so long and also uncomfortable ... when I told “Guys, sorry , yesterday I was extended during 1 min (bravo for that ) , they answered me “wow”) And sometimes is was noisy in the room. Concierge absolutely hopeless. After emailing to ask if we wanted to book cars/babysitting etc they failed to respond to our requests. On the phone they seemed to be better but when we arrived our airport car had not been booked. Our car to onward destination, which we specifically booked face to face with the concierge, was too small a vehicle as they hadn’t realised we were checking out. Great hotel and service is very good other than if you try to book anything pre-stay or through the hopeless concierge. Food very good. Staff very attentive in general. The hotel is extremely comfortable and the staff are excellent. Nothing to be honest. I could say little expensive. But worth every penny. Everything. i will keep coming back to Al Qasr. It's not something I did not like, rather something you need to be aware of. Madinat Jumeirah is a resort and a lot of facilities are shared between the different hotels there. 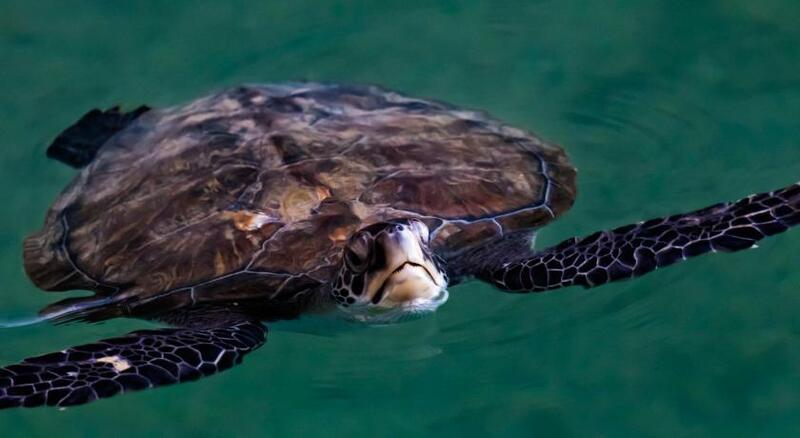 For instance if you stay at al Qasr and you want to go to the gym, you would have to take the boat or the buggy to Mina salam which is not very far but not close either. Maybe count 15/20 minutes between waiting for the transportation means+the duration of the trip(only a few minutes) and walking to your final destination inside mina' a salam hotel. I did not mind at all because I was enjoying my vacations and the landscape you go through is amazing BUT for someone who's in Dubai for work and has to squeeze meeting after meeting in a short period and just wants an efficient way to exercise or use another shared facility, it can be handicaping. I would have liked a better room location, a slightly higher floor away from the adjacent restaurant and stairs. However for the paid I suppose expected. I would ring the concierge or reception and no one would pick up after several attempts. Gym, room, SPA, restaurants, beach. Service excellent. Staff professional. The bedroom was amazing and can’t fault the hotel or staff at all. Recommend to all.